Wow, so where do i even start?!?!?! 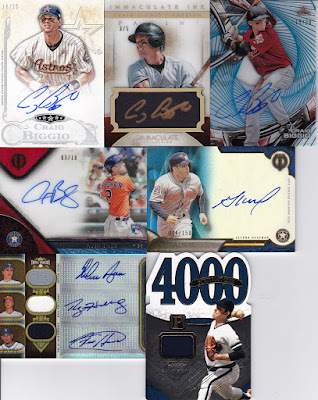 Biggio autographs #'ed out of /25, /5 and /20 are awesome enough on their own! 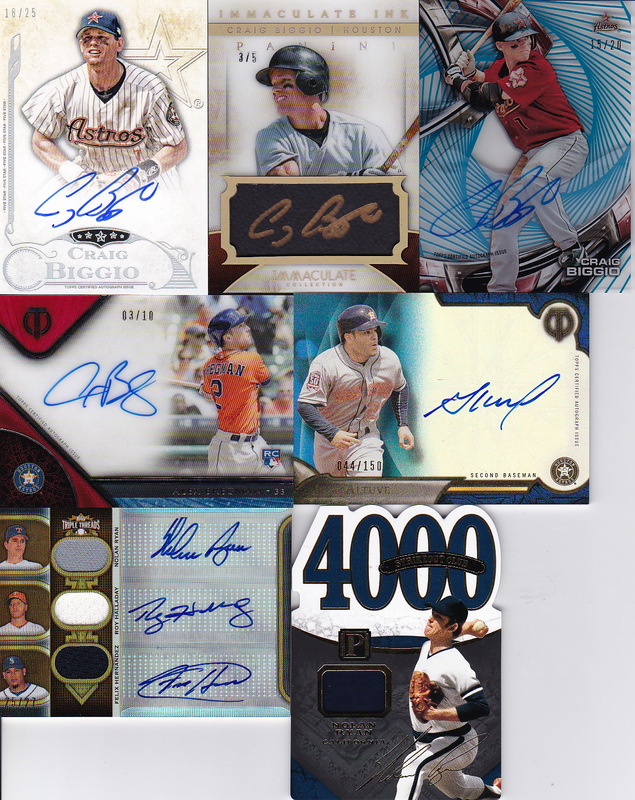 Then you add in the Bregman auto #'ed /10! Those are 4 very low numbered autographs that definitely add some punch to my PC. The Altuve is numbered /150. And then there is that Nolan Ryan triple auto from Triple Threads. It's amazing on it's own but then you throw in Roy Halladay and King Felix! Wow. Always down for a Nolan Relic to add as well! Steve, thanks for the deal if you read this. Trade Bait posts will resume tomorrow... I'm going to have quite a time scanning in all the Yankees hits I've got! Holy crap! That triple auto... those pitchers. Yum! Dang that guy had some trade ammo.